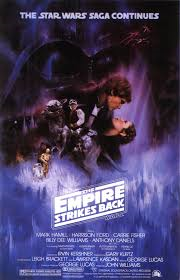 Some movie trilogies peak in the middle, such as The Empire Strikes Back, the second installment of the Star Wars saga. 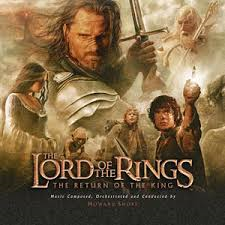 And others really nail it in the final outing, as with The Return of the King, the third movie in The Lord of the Rings epic. The same principle can hold true in music. Chris Daughtry burst on the scene in ‘06 with the solid, self-titled rock album Daughtry, after he rose to fame with his run on American Idol. The band’s follow-up album, Leave this Town, was an overall improvement, although very similar in feel and tone to the first. But much like with The Lord of the Rings, Chris and the boys really brought it all together with his third — and IMHO, best album — the vastly underrated and underappreciated Break the Spell. A combination of soaring guitars, falsetto choruses, sing-alongs, and rolling thunder. So how does this tie back to the movies? 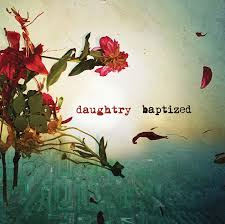 Intentional or not, Daughtry’s first three albums form a trilogy — an evolution of musical creativity, telling one, longer epic story with a beginning, middle, and end. The first song on Daughtry? The ironically titled It’s Not Over. The final song on Break the Spell? Spaceship. That’s quite an evolution. And now the boys are back with their fourth album, Baptized. The title is no accident. Chris has re-emerged with a completely different kind of album. Gone (for the most part) is the growling rocker, replaced instead with a pop storyteller, as if Chris called upon his inner Rhianna, Fun!, and Katy Perry, and comingled them with his matured Hall of Fame voice, more engaging and emotionally resonant than ever. Click here for my album review. But with this bold new sound, a question comes to mind: Is Baptized now the beginning of a new trilogy of albums? Is this the new mojo we can expect from him? Or is Baptized an aperitif? A palate cleanser? A way for Chris to internalize the first trilogy of albums, take a (mostly) fun-filled getaway, and move on from them as an artist, so that he can emerge with an even more fully realized writing style? But regardless of whether we’re experiencing the first installment of a new trilogy, or just a one-off album … I’m strapped in, like a Renegade, along for the ride. It is said that even the journey of a thousand miles begins with a single step. Where will Chris’ travels take us next? Have we really been Baptized?